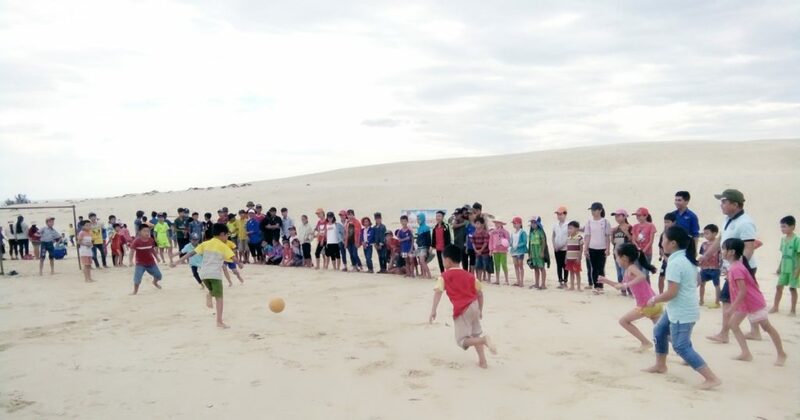 Vinh Linh District, Quang Tri (31 July 2018) — Over 450 youngsters and their parents who live in Vinh Trung Commune today enjoyed an eventful day of community football with integrated mine risk education. 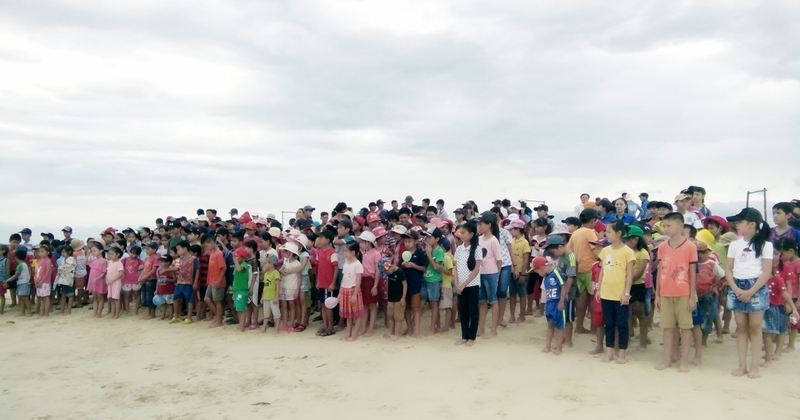 The activity was co-organized by Project RENEW and our partner Vinh Linh District Youth Union to raise awareness of the girls’ right to play football while equipping them with knowledge on how to be safe from threats imposed by unexploded ordnance (UXO). Located in the “front line”, the southernmost of the North Viet Nam during wartime, Vinh Linh District was heavily bombed and shelled for many years. As a result, the district has a high contamination of UXO which still threatens local residents’ daily activities. According to the Legacy of War Coordination Center, the district has had 1,060 UXO victims, of which 367 people were killed, since 1975. 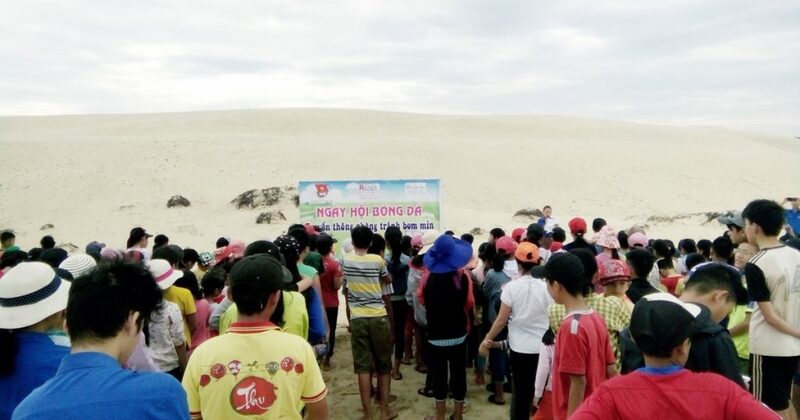 Statistics of NPA-RENEW show that UXO discoveries reported via the UXO hotline number by Quang Tri residents have enabled Explosive Ordnance Disposal teams to safely over 3,800 items of UXO during the last seven months. Project RENEW’s Mine Risk Education program in partnership with Youth Union Network has been primarily funded by Irish Aid through Irish Embassy in Vietnam since 2015. Established in 2001, Project RENEW is a joint effort between the government of Quang Tri Province and interested INGOs to “restore the environment and neutralize the effects of the war” – with the main focus on unexploded ordnance.